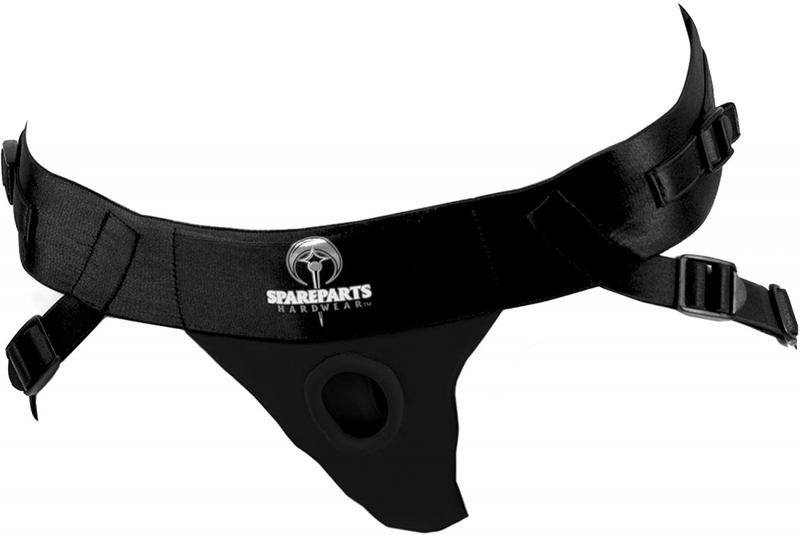 The Harness is made of spandex and polyester with an inner layer of soft triple mesh for breathability. This extremely comfortable harness becomes a virtual second skin that forms and adjusts to your unique shape and size. Just like swimsuit material, it's perfect for water play (shower, spa, etc).Single, double or 2 single attachments can be used in its specially designed pouch, which also has extra room for mini-vibes.The design is strong enough to hold larger attachments and comfortable enough to wear for long periods of time. The fabric harness sits comfortably between the wearer's legs, allowing stimulation for both wearer and receiver.Hand or machine wash.